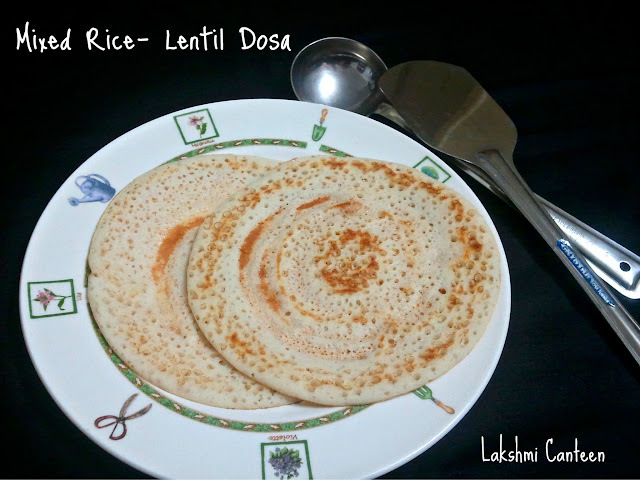 Mixed Rice- Lentil Dosa is one more newly learnt dish. 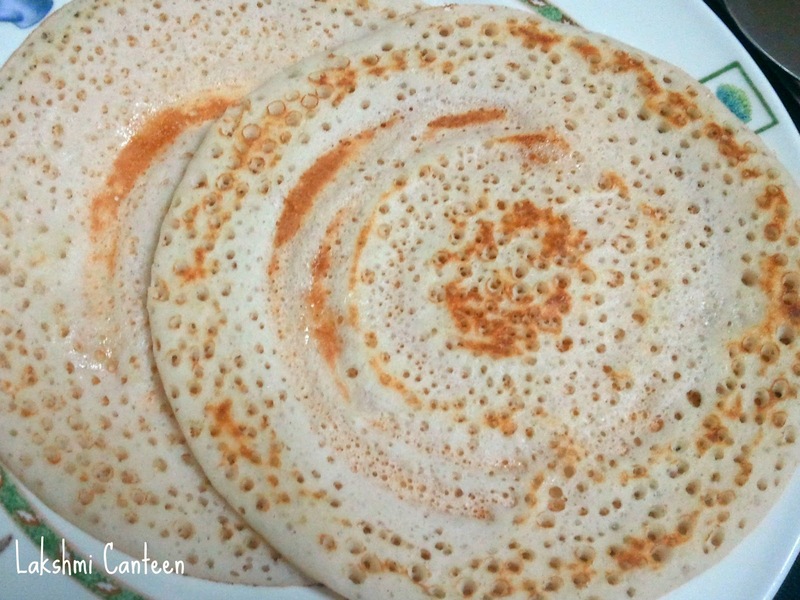 I am happy to say that this is my 25th post on dosa. I got this recipe from a FB friend. 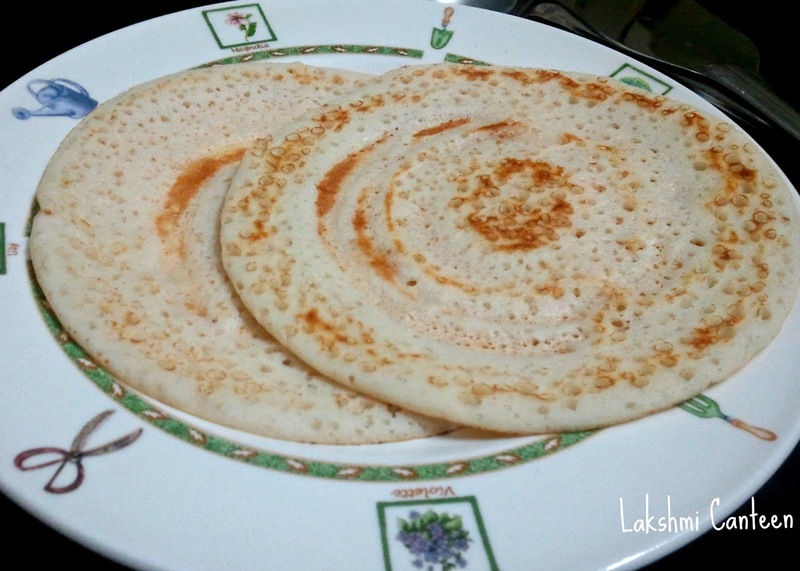 When I made this dosa, it reminded me of the tuppa dosa which I had in Taj Mahal (a popular restaurant of Mangalore). I am very thankful to P for the wonderful recipe. Wash and soak the rice and urad dal, together for 6-7 hours. Then grind it to a smooth paste. Add water as required, while grinding. Keep the batter to ferment for 8-9 hours. Once done, add salt and adjust the consistency of the batter. It should not be too thick or thin. Now batter is ready. Pour a ladel full of batter on the hot tawa and spread it. Sprinkle little oil/ghee. Close it with a lid. After a minute, the lower surface starts turning golden brown. Turn the dosa and fry the other side as well, until it turns golden brown. Transfer it to a plate. Mixed Rice- lentil Dosa is ready!! Good one..what is the rice, is it Idli rice or raw rice..Nice pictures too.. Thanks Sumi. Any white rice should work. The one you use normally to make dosas.